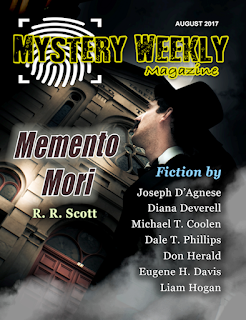 My short mystery story “False Testimony” appears in the Sept. 4 issue of Woman’s World, which came out yesterday. This is my 90th story in Woman’s World. At the moment I have stories in the current issues of WW, AHMM (July/Aug), and Strand Magazine (June-Sep)—I’m enjoying it while it lasts. 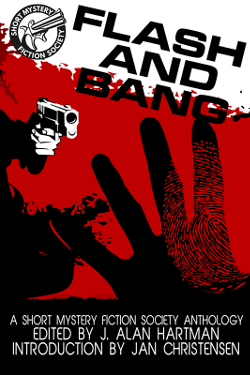 The Great Train Robbery: Mystery Short Story by Michael Bracken went up yesterday as part of the August 19th edition of Kings River Life Magazine. Michael has reported to the list that the tale was originally published in Mike Shane Mystery Magazine in June 1985. At that time, it was his fourth publication in the magazine and his seventh published mystery overall. You can read the tale here. Just shares this interview she did with B. K. back in September 2016. Several SMFS members are currently at work on their remembrance posts for the SMFS blog as B. K. Stevens was also a major presence in our SMFS group. Our thoughts and prayers are with her family and friends in the wake of her sudden passing. Little Big Crimes Review: "Sleeping Beauty" by Gerald Elias. Like the story's protagonist, Diana spent 18 months in war-torn San Salvador. She's tried many times to turn that experience into fiction, but no sale. The MW editor's acceptance of this brand-new effort suggests that 35 years might be enough distance.